When should kids specialize in sports? It takes grit to become an elite-level athlete. Not every athlete has it. And it can’t be developed without internal motivation. Both of my kids began swimming when they were young. 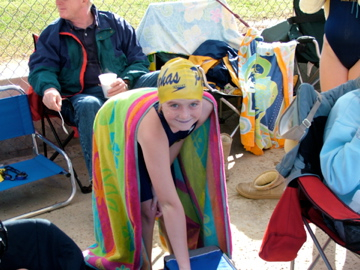 My daughter began swimming with a year-round team at five, while my son began swimming at age eight. (He’s three years older). They did do other activities for a few years before they decided to specialize. And that is the key: they decided. My son was running between t-ball, tennis, karate and swimming and felt like he wasn’t making progress in any of them. He got the swimming bug and wanted to compete. So, we dropped the other sports. My daughter was being shuttled between the ballet studio and the pool. She honestly thought that ballet was some weird form of punishment — especially putting on pink tights and a black leotard in the 110 degree heat — while her brother got to dive into the pool and have fun! Eventually, the ballet teacher pulled me aside and said, “I know she can do this. But she chooses not to. She stands and does nothing at the barres.” As much as I wanted my daughter to love ballet as much as I do, I realized we’d both be better off letting her pursue what she had a passion for — namely swimming. I listened to a podcast by Ritter Sports Performance on early sports specialization and the main thing I took away was that an athlete has to be internally motivated. They can’t be putting in the hours and training to please their parents or their coach. If they have the passion and are hardwired to compete at their sport, then they will reach the elite level regardless when they start. 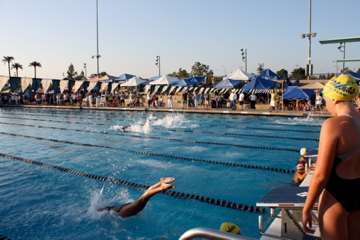 In swimming, two examples are Rowdy Gaines and Ed Moses, who both started late in high school. They did a lot of other sports before they found the pool. 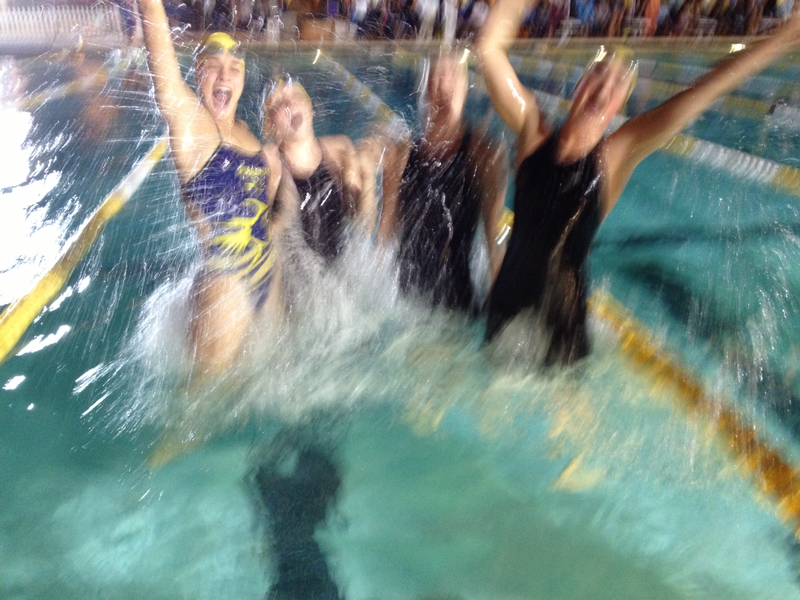 Once they started swimming they excelled and loved it. So, why do we insist on sports specialization a young age? It’s because some sports like swimming or gymnastics take a lot of time to develop technique. Parents naturally want their kids to have a head start. Then there’s the 10,000 rule from Outliers: The Story of Success that it takes 10,000 hours of practice to be good at something. But, an interesting theory is that it’s not the quantity, but the quality of practice. Our kids can’t be looking at the clock waiting for practice to be over. They have to be in the moment giving it their all. 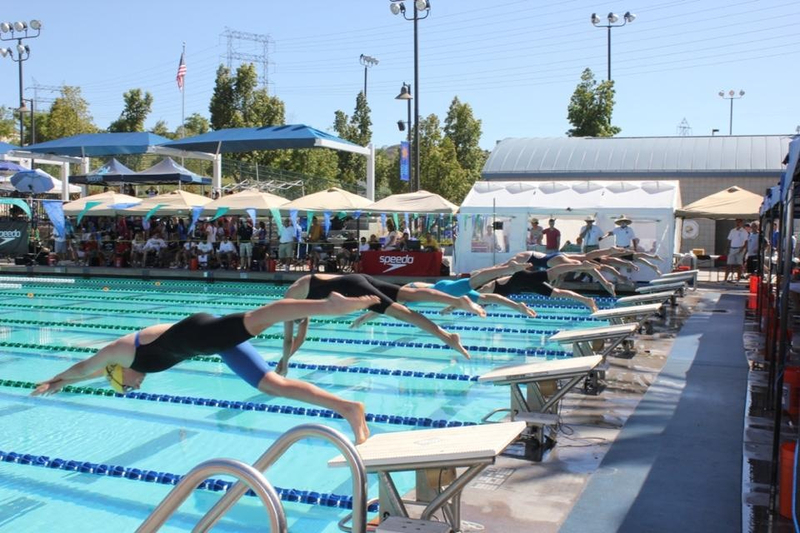 There are certain guidelines that kids should do a lot of different activities before they specialize, but that by the time they turn 12 or 13 years old they need to focus on one sport. I say, follow your kids’ lead. They will know what sport ignites their passion. By allowing them to follow their passion, they can develop the grit it takes to be successful. What sports are your children in and at what age did they specialize in a single sport? True Grit and Early Sports Specialization: Are They Related? 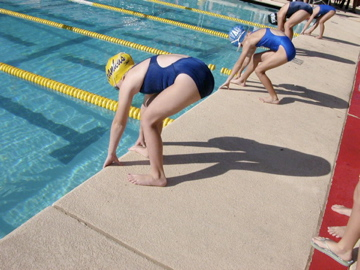 Both of my kids began swimming at a young age. 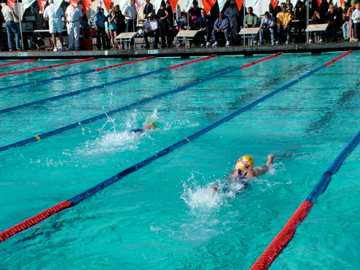 My daughter began swimming with a year-round team at age five, while my son began swimming at age eight. (He’s three years older). My daughter was being shuttled between the ballet studio and the pool. She honestly thought that ballet was some weird form of punishment — especially putting on pink tights and a black leotard in the 110-degree heat — while her brother got to dive into the pool! 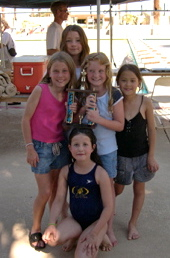 My kids few years ago on photo day for the Piranha Swim Team. So, why do we insist on sports specialization a young age? 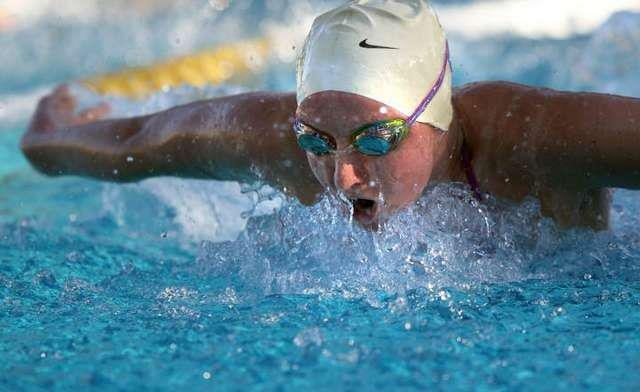 It’s because some sports like swimming take a lot of time to develop technique. Parents naturally want their kids to have a head start. Then there’s the 10,000 rule from Outliers: The Story of Success that it takes 10,000 hours of practice to be good at something. But, an interesting theory is that it’s not the quantity, but the quality of practice. You can’t be looking at the clock waiting for practice to be over. You have to be in the moment giving it your all. What sports are your children in and at what age did they specialize? Here’s an article I wrote several years ago about sports specialization. I still get asked at what age should kids do one sport exclusively. There’s no right or wrong answer, although research suggests that there’s no advantage to early sports specialization. 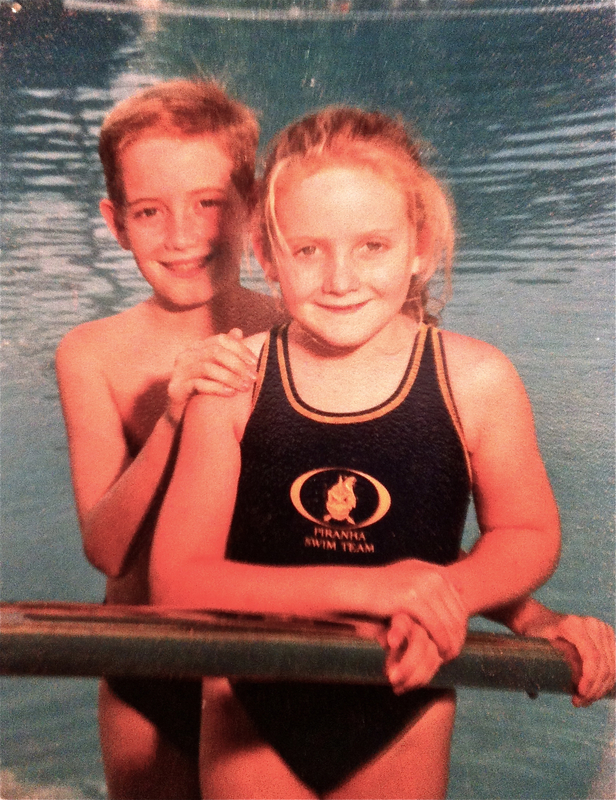 Both of my kids began swimming at a young age. 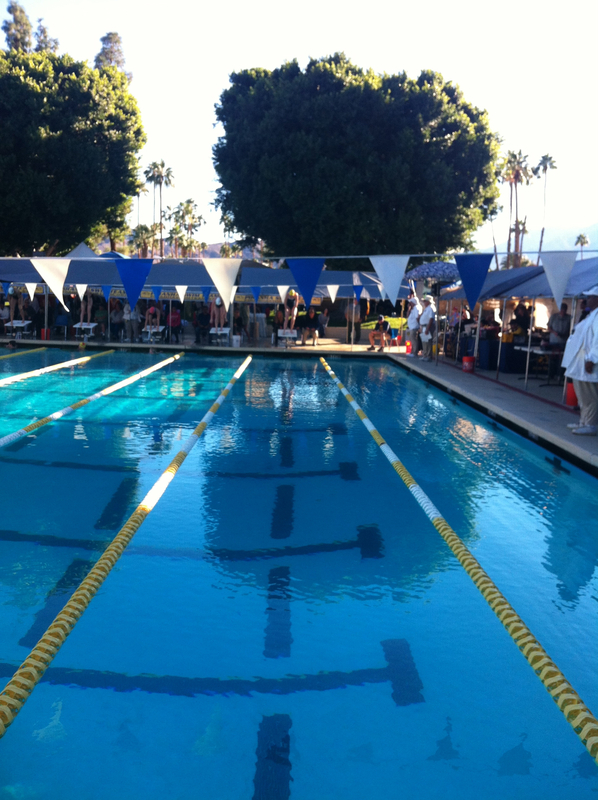 My daughter began swimming with a year-round team at age 5, while my son began swimming at age 8. (He’s three years older). My daughter was being shuttled between the ballet studio and the pool. She honestly thought that ballet was some weird form of punishment — especially putting on pink tights and a black leotard in the 110 degree heat — while her brother got to dive into the pool! I just listened to a podcast by Ritter Sports Performance on early sports specialization and the main thing I took away was that an athlete has to be internally motivated. They can’t be putting in the hours and training to please their parents or their coach. If they have the passion and are hardwired to compete at their sport, then they will reach the elite level regardless when they start.